At every age, for every demographic, and in every school district, the story is the same: students who miss more school than their peers are more likely to have lower academic outcomes and also delayed development of crucial social skills needed for success. In the United States, about 5-7.5 million students miss almost a month of school every year, meaning they are chronically absent. These absences lead to some serious consequences. Many national studies show this lack of instructional time and connection with school contributes to higher dropout rates, larger achievement gaps as compared to peers, lower scores on standardized tests and lower levels of reading proficiency. Chronic absenteeism in younger students makes them significantly less likely to meet third-grade reading benchmarks. A recent Applied Survey Research report found that students who started the school year academically ready to learn – but then missed 10 percent of their kindergarten and first grade years – scored an average of 60 points lower than similar students with good attendance on third-grade reading tests. There is a direct tie to school performance and regular school attendance. Making sure your child is in class every day will have dramatic implications on their academic success. We know early education is fundamentally important, and attendance in those early years not only establishes core educational principles, but it also establishes social patterns that will translate into future educational years. Students learn about how to interact with and meet expectations of others, and the tenacity and dedication to finish and reach goals by just showing up every day. Poor attendance lessens the academic performance of all students, but it severely impacts those low-income students who have less educational resources outside of the classroom. Students from low-income households are four times more likely to be chronically absent, the Applied Research Survey reports, but academic performance does not discriminate. Unlike many other factors that play in to school performance, consistent school attendance is shown to improve academic performance across every state and every composition of student population. ImpactTulsa partnered with Tulsa Public Schools to develop a predictive model that schools can use to target interventions for students who have the potential to become chronically absent. This predictive model is replicable and transferrable to all, and the data gleaned from the model can be tailored to each district in an effort to inform district-wide policy. This predictive model for absenteeism will help schools identify which students are likely to be chronically absent by the end of the school year. The model will not only predict who could struggle with attendance, but it can also help principals and educators intervene with preventative measures and create strategies to support students. The use of this data could influence policy decisions about the school calendar, allowing for opportunities to provide interventions to identified students earlier and inform resources needed for students when weather and other variables impact attendance. Each school can use this model in a way that will help them predict – and prevent – absenteeism unique to their student population. School administrators don’t have to wait a year to review data and make changes to intervene with a student who could be at risk of becoming chronically absent. This model can be used with 86 percent probability by the 20th day of school. Using this tool will help identify at-risk students before they are chronically absent and help schools develop day-one intervention plans with students and families. Transition years: Students have lower attendance during transition points – starting elementary, starting middle school and starting high school. Gender: Females have higher levels of chronic absenteeism in high school than males. Weather: When it is freezing, elementary students are more likely to miss school. High school students tend to be absent when it is rainy. Student mobility: Above all other factors, student mobility is the greatest predictor of chronic absenteeism. Switching schools or districts during the year – or multiple times in one year – dramatically increases a student’s chance to become chronically absent. Absenteeism is directly tied to low student performance, and ImpactTulsa’s goal of this targeted research is to bring information to schools and parents to shape school policy to help students succeed. Two schools are serving as pilot programs this year in an effort to reduce chronic absenteeism. ImpactTulsa will utilize the predictive model in addition to rolling out other measures to intervene with attendance problems. In addition to providing students with incentives for good attendance, TPS and ImpactTulsa are using the continuous improvement model to try several interventions. For example, teachers are being trained to make personal phone calls to students and parents to discuss absenteeism. In order to build personal relationships and try to find out the root causes for the attendance problems. We are also connecting families with resources and collaboratively brainstorming solutions. 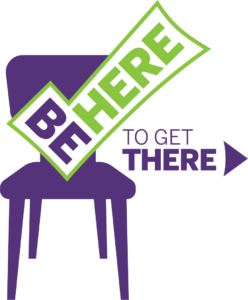 Resources from ImpactTulsa are also available to encourage students and families to “Be Here to Get There.” We will continue to share best practices with partner schools and organizations to support students. ImpactTulsa believes that if we measure what matters, identify best practices and align resources we help to guarantee all students a high-quality education. This predictive model is one way to do just that.